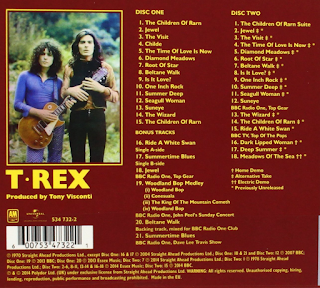 From 1970, Marc Bolan's first transition from folky guitar strumming pixie to the electric warrior we would all come to know and love. 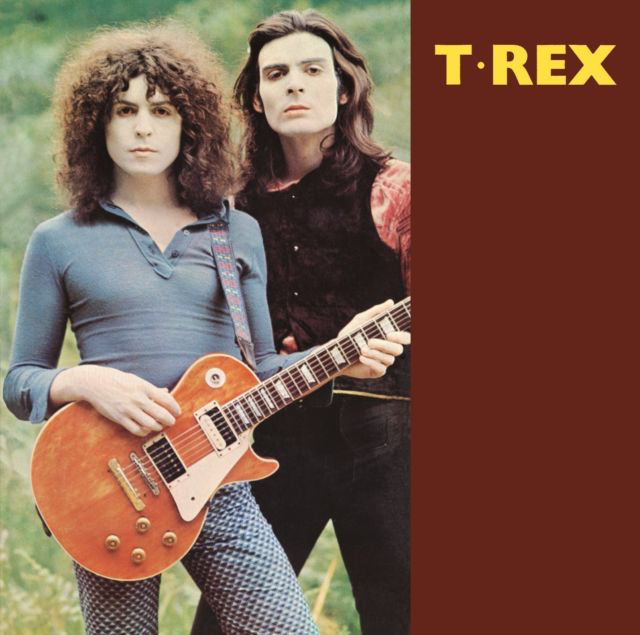 Dropping "Tyrannosaurus" and becoming "T.Rex", Marc strapped on an electric guitar and with Mickey Finn on percussion he introduced a rocky element to his fairy, poetic semi-nonsense lyrics. 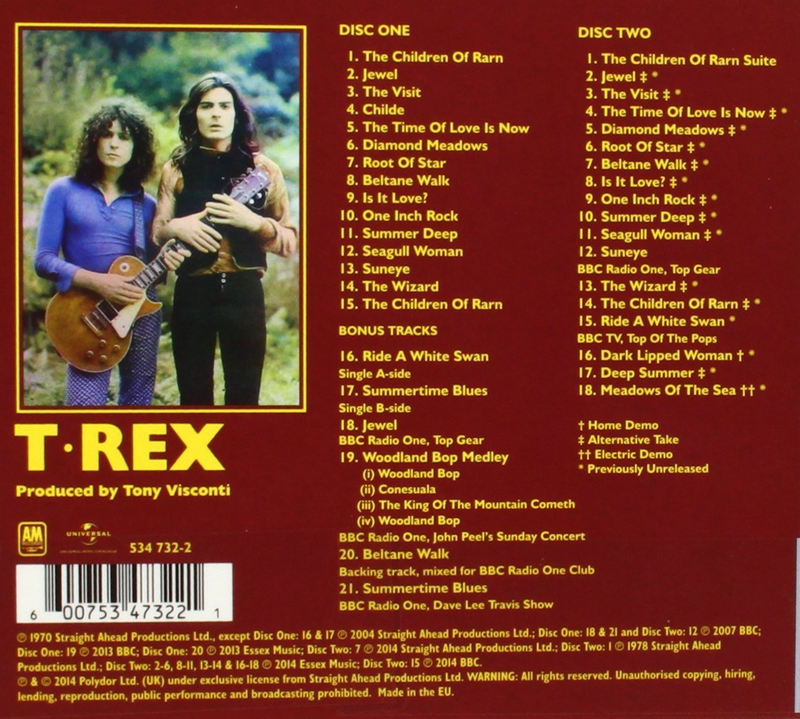 Examples are "Root Of Star" with its stunning guitar parts, "Childe" which ends all to soon, the rock n roll-ish "Beltane Walk", "One Inch Rock" and "Is It Love?". In fact, pretty much all of them show include Marc's electric guitar and show just what a great guitarist he was. All against a background of Finn's rumbling bongos. They couldn't quite shake off the hippy accoutrements just yet. "Seagull Woman" had the bass added to it as well, and it is so powerful. A great underrated Bolan track. I love this one. I read a quote that said this album was "the calm before the storm of "Electric Warrior". How true. Why if only Marc could add a full band. How would he sound? 1971's "Electric Warrior" would tell you. Before that, though, there was the little matter of six weeks at number one with "Hot Love”.